Kohl's will remain open for 24-hours-a-day from December 22 to December 26. Are you the kind of person who waits until the very last minute to go Christmas shopping? Don't worry -- Kohl's has you covered! Kohl's will remain open for 24-hours starting Friday, December 21 at 7 a.m., and ending Christmas Eve at 6 p.m.
Not willing to brave the holiday traffic or face crowds of last-minute shoppers? Shop at Kohls.com or use the Kohl's Mobile App to choose free in-store pickup. You can also get gifts delivered directly to your home just in time for Christmas day! For free in-store pickup on Christmas Eve, you must place your order by 3 p.m. local time and be able to pick those items up at 6 p.m. Did we mention pick-up is free of charge? And that's not all! 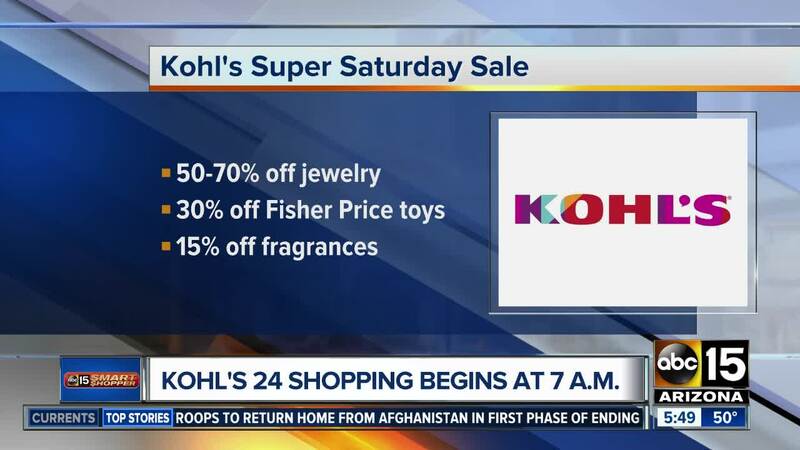 Kohl's is also offering mega discounts in the days leading up to Christmas. And of course we can't leave out Unbeatable Savings for All! We're talking about Kohl's cash. ***Terms, conditions and exclusions apply.